I requested this from the library after Liberty Hardy recommended it fervently on the All the Books podcast. It was a great recommendation, and probably not something I would've picked up otherwise. An unrelated mother and son are in a hospital, striving to pinpoint a specific moment by recounting the events that led to their current situation. Amanda is the mother, vacationing with her daughter Nina while her husband works & plans to join them for the weekend. David is the son, a neighbor of Amanda's vacation rental with his mother Carla. Carla has insisted to Amanda that David is not right, and Amanda fears for her daughter. Told in an alternating dialogue between David and Amanda, this short book spins its tale in quick, furtive bursts that are rife with detail and mystery. I was afraid along the way that the answer would be too complicated for me to comprehend when I reached the end, leaving me unsatisfied and out of my depth. Luckily, that was not at all the case. I was surprised and pleasantly puzzled, and, just like Liberty, flipped back to the beginning to puzzle over this strange story. From her bio on the book flap, Samantha Schweblin has been recognized by Granta as a top writer in Spanish under 35 and received several literary awards. Though this is her first novel, she has published three short story collections. I will be hunting down any of her work that has been translated to English & hope to see much, much more from her. Verdict: Affirmed. This was a weird little book that I found utterly compelling. I'd love for someone to read it so we can discuss and puzzle it out together. 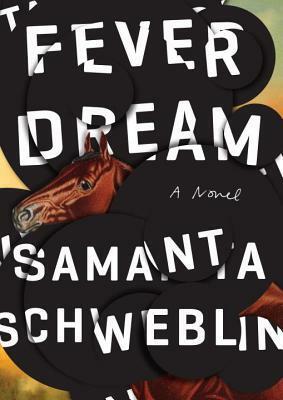 "Fever Dream" by Samantha Schweblin, translated by Megan McDowell, published January 10, 2017 by Riverhead Books.